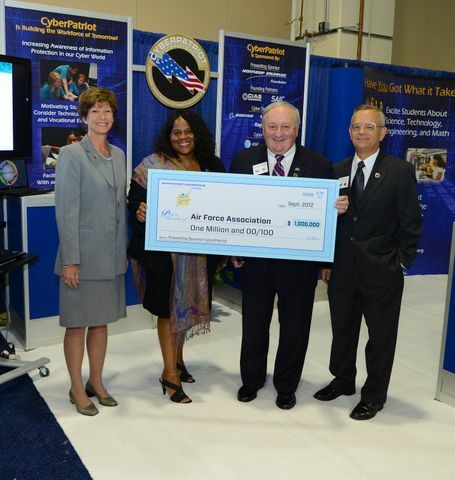 WASHINGTON, Sept. 19, 2012 -- The Northrop Grumman Foundation continued its strong support for the CyberPatriot Program with a $1 million grant to the Air Force Association (AFA), marking the third year as presenting sponsor. The announcement took place at the U.S. CyberPatriot booth during AFA's 2012 Air & Space Conference and Technology Exposition in National Harbor, Md. CyberPatriot, the nation's largest and fastest-growing high school cyber defense competition, was created by the AFA to inspire high school students to study science, technology, engineering and mathematics (STEM) disciplines critical to the nation's future and ultimately pursue careers in cybersecurity or related fields. CyberPatriot V will be held during the 2012-2013 school year with registration closing on Sept. 30. The first round of competition starts on November 2 and 3 and will be followed by two more virtual rounds over four months to qualify for the in-person final competition round in Washington, D.C., in March 2013. For more about the competition, go to www.uscyberpatriot.org . 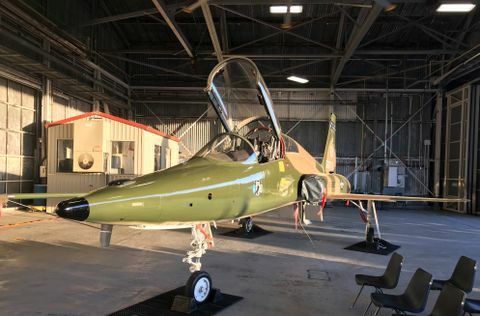 "The Northrop Grumman Foundation is proud to partner with the Air Force Association and again be the presenting sponsor of CyberPatriot," said Sandra Evers-Manly, vice president of corporate responsibility and president of the Northrop Grumman Foundation. "The company, the foundation and our employees share a mission to help improve the quality of science, technology, engineering and mathematics education from early grades through the university level. The CyberPatriot competition is a wonderful program through which we can reach out into schools across the country, and around the world, to teach and inspire young adults to explore the exciting world of cybersecurity." 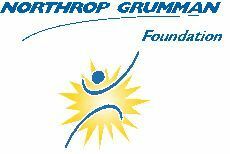 The Northrop Grumman Foundation's support to CyberPatriot has enabled significant growth in the program. 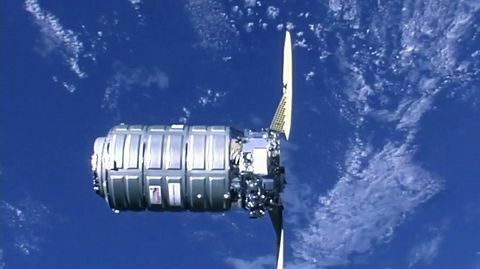 In 2012, more than 1,000 teams – a 53 percent increase over 2011 – participated in the competition from all 50 states, and U.S. Department of Defense dependent schools in Europe and the Pacific, as well as teams from Canada. Northrop Grumman Corporation also contributes employee volunteers, expertise and resources, as well as scholarship funds for the winning teams. The company also provides internships to a number of CyberPatriot competitors, as do other industry and government organizations. These internship opportunities serve both CyberPatriot participants and cybersecurity employers as the nation strives to fill the critical need for cyber professionals. "Since Northrop Grumman began sponsoring CyberPatriot, the program has reached more than 12,000 students worldwide sparking excitement among today's youth to help fill the critical gap in our nation's cyber workforce," said Diane Miller, Northrop Grumman program director, CyberPatriot. "We are so proud of these students, who have exhibited incredible teamwork and leadership skills, as well as strong technical and network defense skills. CyberPatriot is helping these students navigate the burgeoning cybersecurity career field while emphasizing life skills that are fundamental to future success." Northrop Grumman is committed to supporting cybersecurity education, training and technology. At the collegiate level, Northrop Grumman is launching a unique honors program with the University of Maryland called the Advanced Cybersecurity Experience for Students. This program will immerse undergraduate students in all aspects of the field to help meet growing national cybersecurity workforce needs. The company also supports the Mid-Atlantic Regional and the National Collegiate Cyber Defense Competition. Northrop Grumman also leads a Cybersecurity Research Consortium, an industry/academia partnership addressing the cybersecurity challenges of the future, and is partnered with the University of Maryland Baltimore County Research Park Corporation to create a pipeline for new cybersecurity technologies called the Cync Program. Northrop Grumman also operates its own Cyber Academy to promote professional training and development and attract top-level talent. 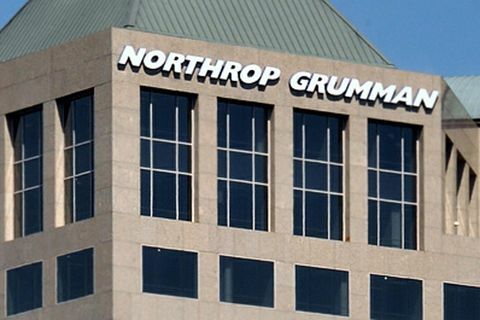 For more information on Northrop Grumman's work in cybersecurity, go to www.northropgrumman.com/cybersecurity .